I finally got the chance tonight to begin my Pennsic garb sewing. 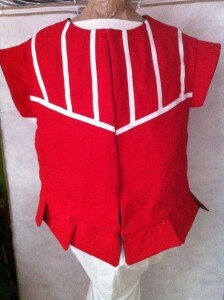 I decided to start with the simplest garment, the smock, and work my way out. 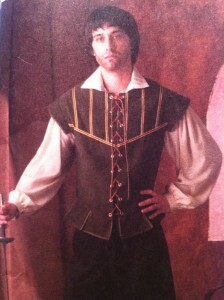 I drafted a pattern based on my measurements and the instructions at http://www.elizabethancostume.net/smockpat/. I cut out some inexpensive muslin, sewed it, and it worked!! The smock was surprisingly easy to make and looked good. The only thing I’d change from my original pattern are the sleeves — I want them to be a bit wider and a bit longer — I think an inch at least. So after my success with the smock, I moved on to the kirtle. I didn’t have any muslin for that, so I raided my stash of cheap fabrics procured from Scrap Box (recycled materials shop) which cost nearly nothing to me. I found some ugly brown twill that I think must be at least part polyester (but it wasn’t stretchy!) 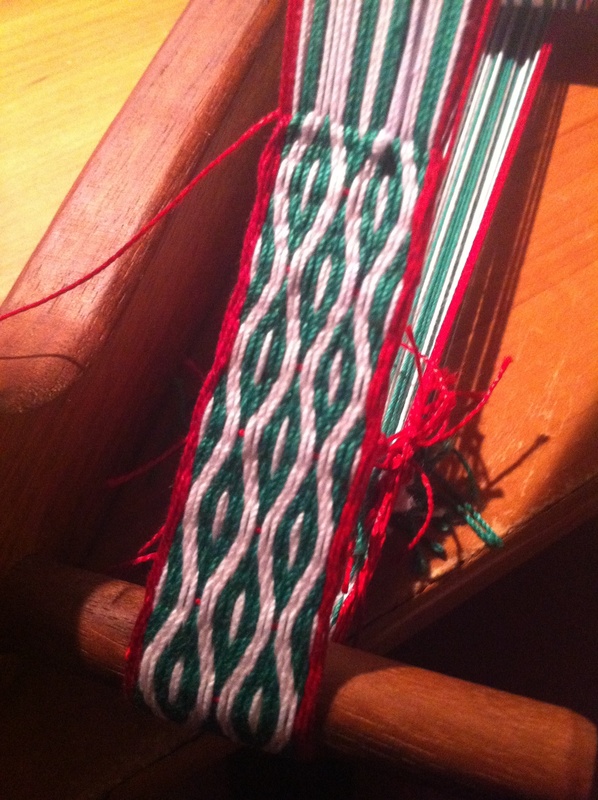 and used it to make a kirtle. Again, I drafted a custom pattern from my measurements and these directions: http://www.elizabethancostume.net/kirtlepat/gored.html. I decided to go with an A-Line Kirtle because I like the option of wearing my farthingale under it. 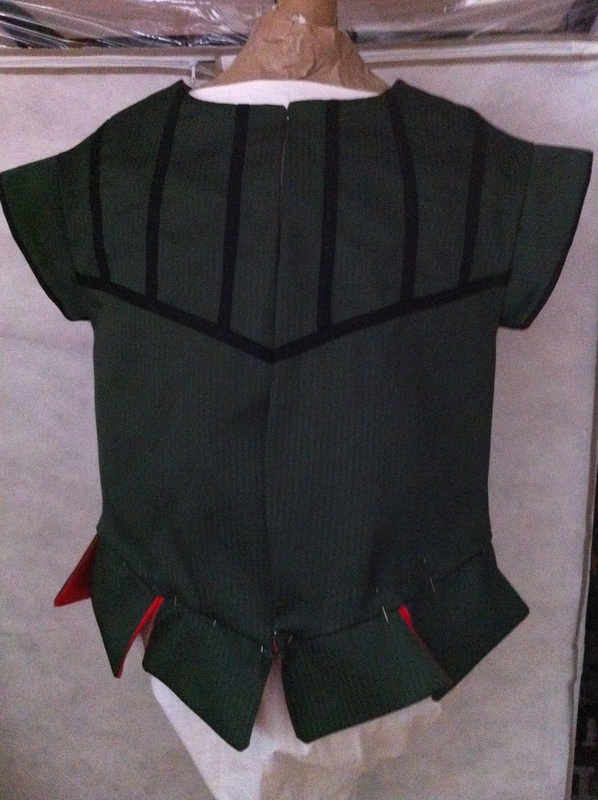 The first try worked pretty well, though I think the shoulder straps need to be a bit shorter and the waist narrower. Those are both very easy to fix when I go to use the actual linen for the real kirtle. I tried my farthingale under it and it looked good. Unfortunately, I didn’t measure the brown fabric before I cut it, so I’m not sure how much material I needed. If I were to guess, I’d say between 3 and 4 yards. The circumference of the skirt bottom is 132″, but I pieced it to make the most of the material. I think I’ll take apart the brown test kirtle apart and lay it out on my linen, using it as a pattern. All in all, great progress for the evening! Once the patterns are down, I think I’ll be able to cut and sew these pretty easily.